Never lose your spot in your latest book again! Design your own bookmarks using origami, markers, crayons, colored pencils, stickers and more! 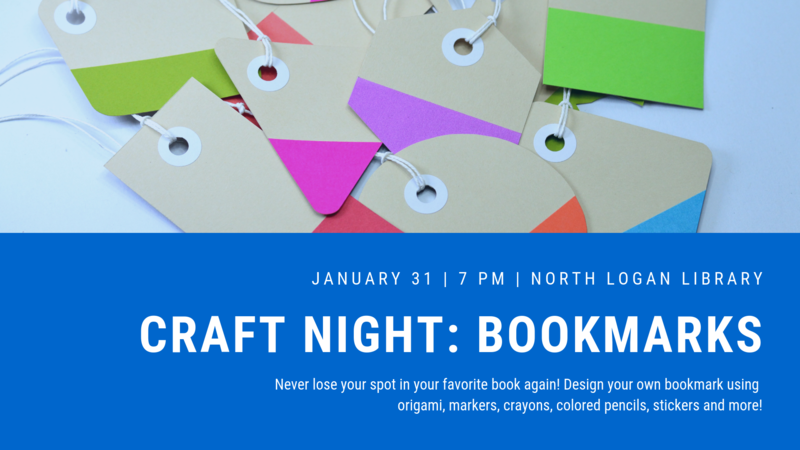 Crafting will commence right at 7 PM, only at the North Logan City Library!